You won't be able to determine the color from the photo, but this ruffled Embroidered Mums bowl was listed as ice green opal with slag effect. 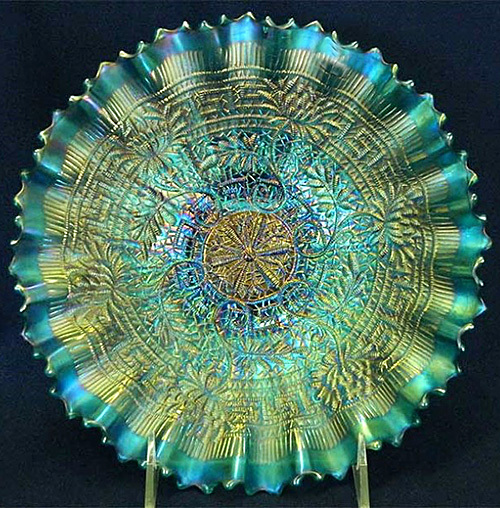 It sold at the 2016 Great Lakes Carnival Glass club convention auction by Tom Burns for $2,400. I have no records of any others in this color. < Embroidered Mums The pie crust-edge bowl at the left is sapphire blue. 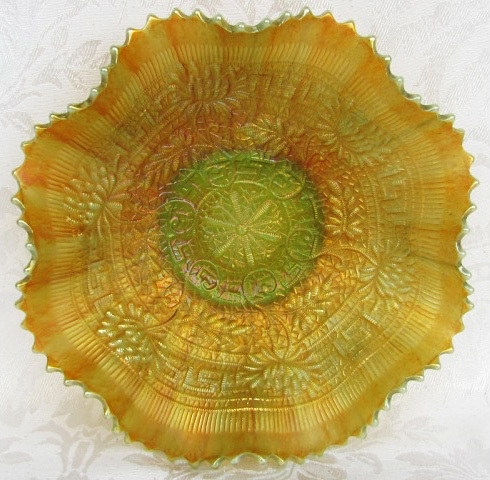 It sold at the 2014 auction of Jackie Poucher glass by Jim Seeck, The bowl sold for $7,500.